Over 15 years of servicing the world's biggest artists and labels, and you! Since 2002, Merchtable (formerly Blue Collar Distro) has been the official merchandise partner for hundreds of musicians, artists, labels, comedians, podcasts, and passion projects both big and small. Partner is the key word - we work with you to grow your business long term. From customer service initiatives, to marketing support, detailed analytics, merchandise production, and even offline support for tour logistics. Our job is to do all the heavy lifting and support your brand so you can focus on being creative. "Shelter" became a worldwide phenomenon in 2016. With over 60 million streams, and spawning an anime short film and tour, the merchandise required complete customization. Our services included screen printing, samples, cut & sew sourcing, Pantone dye matching, and complex supply chain management to ensure maximum profit. 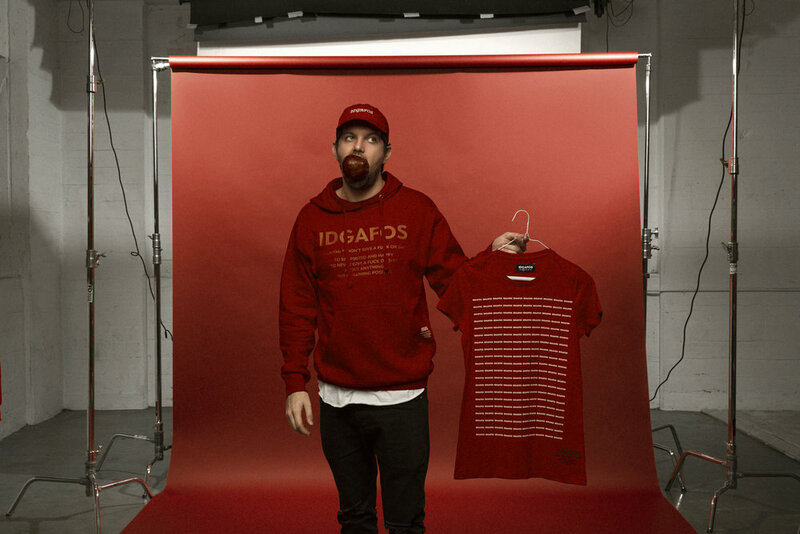 To celebrate Valentine's Day we worked with Dillon Francis and his team to help create an entire capsule of red items. The final collection consisted of 8 different products, ranging from embroidered dad hats to posters to outerwear. 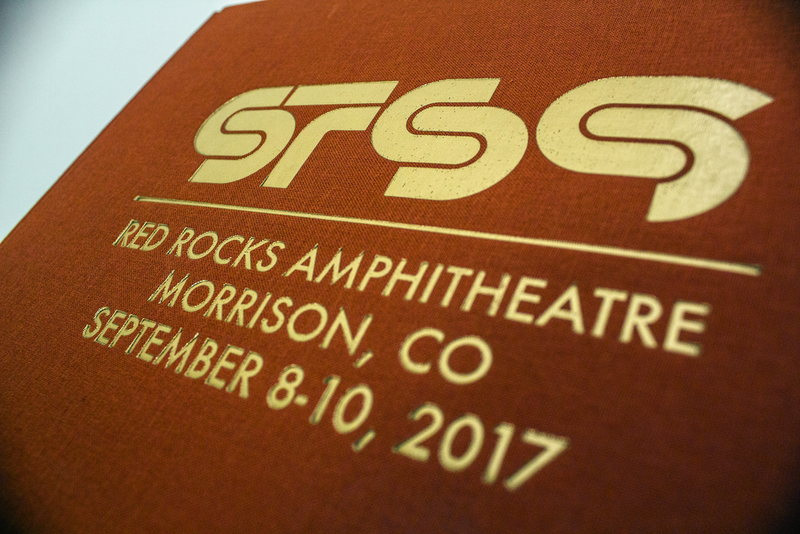 Originally intended as a one-and-done event, some items proved popular enough they remain in print to this day. The Tell 'em Steve-Dave fanbase is incredibly loyal, and massive. When TESD started offering merchandise online in 2013, they wanted to keep offerings limited. Quality over quantity. We worked with them and over the last 4 years have helped deploy a slowly growing collection that now includes boutique items such as hockey jerseys, and personalized items. In each case the fans come first when planning the next round of merchandise. World record holder Marawa Wamp doesn't run a typical operation. Hula hoops, as you might imagine, aren't easy to ship, so she designed a collapsible hoop - problem solved! When it came time to expand her store, Paradise, we were able to sell events, such as training classes, which made for a far more personal and engaging experience. Merchtable has been home to record labels big and small for years. When Kill Rock Stars moved several years back, they needed someone to take over their entire fulfillment operation. 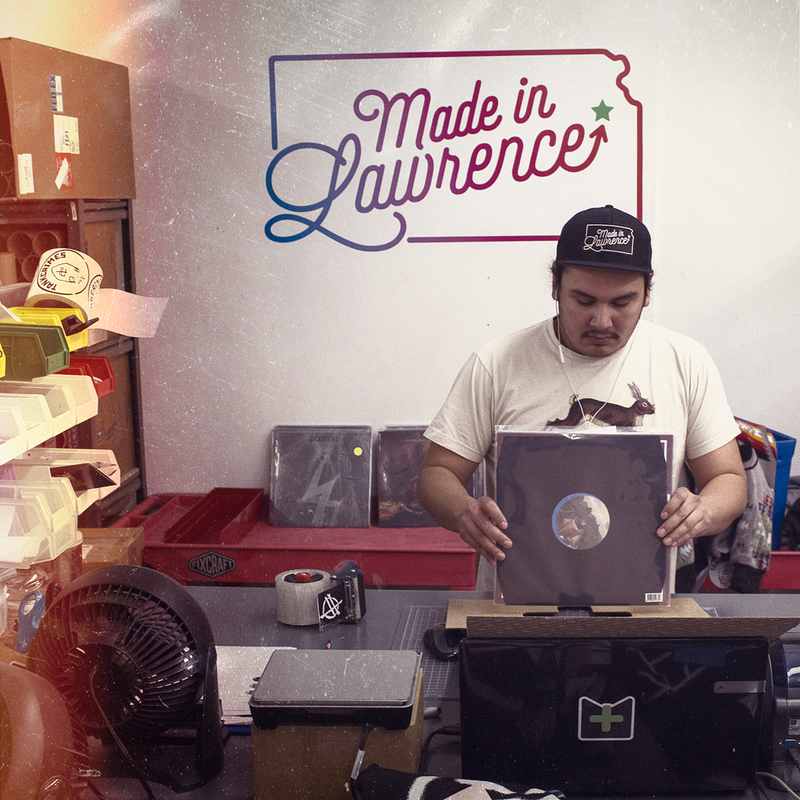 No small task, but we help coordinate moving everything (and we mean EVERYTHING) to our warehouse in Lawrence, Kansas. We took over the heavy lifting so Kill Rock Stars could focus on running the label. In the past few years they've transformed it massively, shifting heavily into comedy albums. 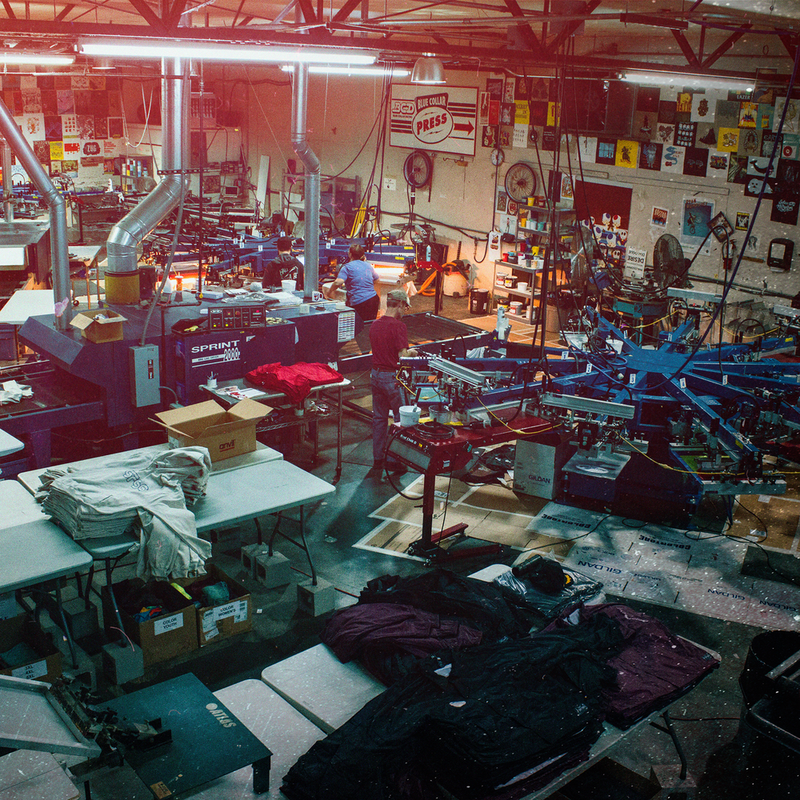 Over the years, our suite of services has expanded beyond our original pairing of screen printing and fulfillment, to include sourcing, marketing support, global shipping initiatives, and even the creation of our very own custom-built software platform. Learn more about what we do below. Everything starts with production. Merchtable offers full on-site screen printing services, including graphic design, with access to all the most popular clothing brands and styles (Next Level, Alternative Apparel, Bella/Canvas, L.A. Apparel, Champion, and hundreds more). Our sourcing program expands your options even further, with full access to headwear, cut & sew, sublimation, embroidery, housewares, plush toys, flags, custom knits, and virtually every accessory you can think of. The Merchtable software platform was custom built from the ground up to meet the needs of artists and labels. Features like SoundScan reporting and back ordering come baked into every store by default, not just a plug-in. We have the best developers in the world, and rigorous A/B testing is our standard so we can ensure the best possible experience for your customers. For example, our cart recovery program was extensively researched and optimized to fit our audience, with resulting conversion rates more than double the Shopify average. Whether you're looking to launch a worldwide pre-order, or a 24 hour hot drop - the customer experience in our #1 priority. Our customer outreach programs include everything from custom mailing packages, to global budget shipping rates, contests, pack-ins, and more. When we say we're your partner we really mean it. Our clients create some really cool stuff, and if you need help promoting it we're all in. 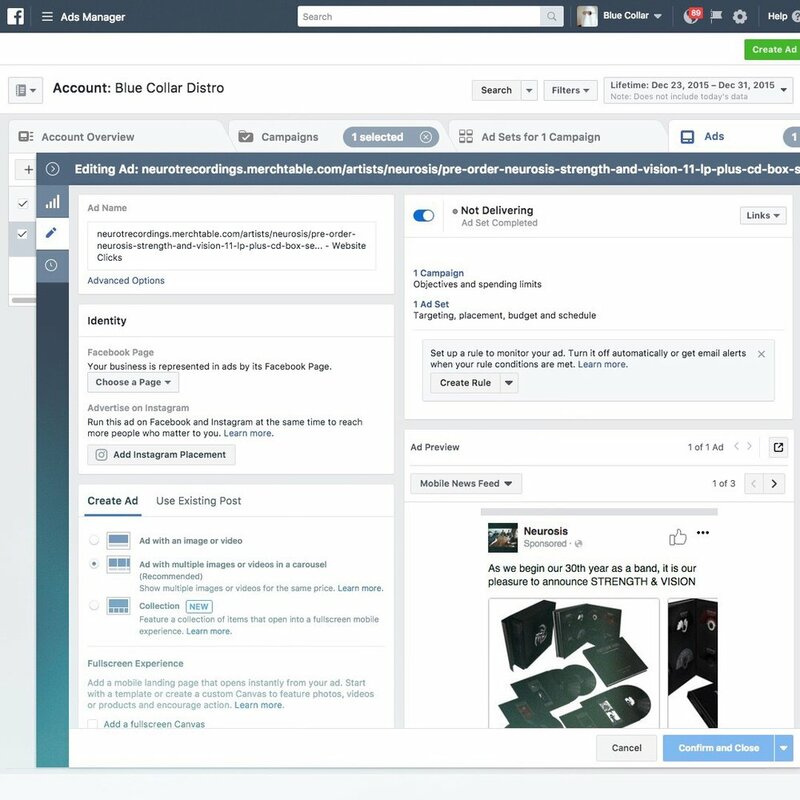 Marketing services are provided free of charge to all Merchtable stores. Our team can create entire campaigns for you, produce professional video content and images for your social media channels, promotional copywriting and best practice support, and full ROI analysis. Want to open a store? Print some shirts? Talk about 'Game of Thrones' theories? Shoot us an email telling us a little about your project and we'll get back to you ASAP. Need help with a Merchtable order? Email us directly at help@merchtable.com or visit our support knowledge base here. Visit shop.merchtable.com to get a taste of what our clients are making. We've got everything from hula hoops to enamel pins to bike equipment and even this rally towel with Kurt Braunohler's face on it.